This story was published in NYC In Focus’s special package of stories and multimedia on growing old in New York City public housing. You can view the other stories here. Wong Tim and Wong Zhou Hung have lived in New York City Housing since they immigrated to the United States in 1981. Their 14th-floor apartment in the Seward Park Extension development – located just a few blocks south of the Williamsburg Bridge – has a spacious living room and a view of the Lower East Side. Their walls are decorated with colorful Chinese calendars and posters and a collage of family portraits. One would think there would be more for the Wongs to do. Seward serves as a home to a uniquely high amount of Asian families, with 26 percent of Seward’s approximately 800 residents being of Asian descent, according to NYCHA’s Resident Data Book, published in January 2011. Of that 26 percent, more than a third are seniors. These numbers compare drastically to the percentage of Asians within all NYCHA developments, where out of approximately 400,000 residents, only 4.5 percent are of Asian descent. Out of more than 73,000 senior residents in NYCHA, Asians only total 6 percent of that population, according to the Data Book. Yet in the Queensbridge Houses in Long Island City, where Asian residents also only make up 6 percent of the population, residents have access to the Jacob A. Riis Neighborhood Settlement House, which serves all of Western Queens. Run by private management, but primarily funded by NYCHA contracts, there is a senior center that is open every day and serves free lunch. An immigrant program offers free legal counseling to help Asian immigrants obtain U.S. citizenship. In sharp contrast, Seward does not have such programs, nor does the development have a senior center. A senior center was located there more than 10 years ago, according to Seward Tenant Association President Carmen Orta, but it was shut down due to NYCHA budget problems. “First thing they [NYCHA] say is they have no money,” she said. NYCHA spokespersons did not respond to email requests for comment, but as of now it appears the authority has enough money to pay Settlement House’s contractors. With free translation services, free English language courses and weekly recreational activities such as tai chi, the unusual problem the center faces is that not enough Asian seniors take advantage of its programming: It serves an average of only 10 a year. “The challenge is they [Asian seniors] are not coming on a regular basis and others have not been here in a long time,” said director of senior services Robert Madison. “We just had a Chinese person come today to have a walk around the facility. He came last week for a meal and now wants to do more,” Madison said. Orta said that while there are neighboring NYCHA developments with senior centers – some of which are frequented by Asian seniors – these are still blocks away from Seward, which creates an unnecessary hardship. Hung understands: She recently walked to Chinatown in the cold to purchase groceries, and even though Chinatown is less than a mile away, walking back and forth took her an hour. Tim rarely goes outside because he cannot walk very well anymore at all. Geraldine Phillip, the director of Seward’s Community Center, said an arrangement like that is certainly a possibility, and she is working on initiating programs for seniors for next year. As of now, there is a private senior group that utilizes the center in the mornings once in a while through NYCHA. “They sometimes hold health screenings here,” Phillip said. To its credit, NYCHA has been good about promoting relevant events to Chinese residents of Seward. Chinese interpreters will usually attend meetings and “sometimes they [NYCHA] put the flyers down here in their [Chinese residents’] language,” according to Cruz. 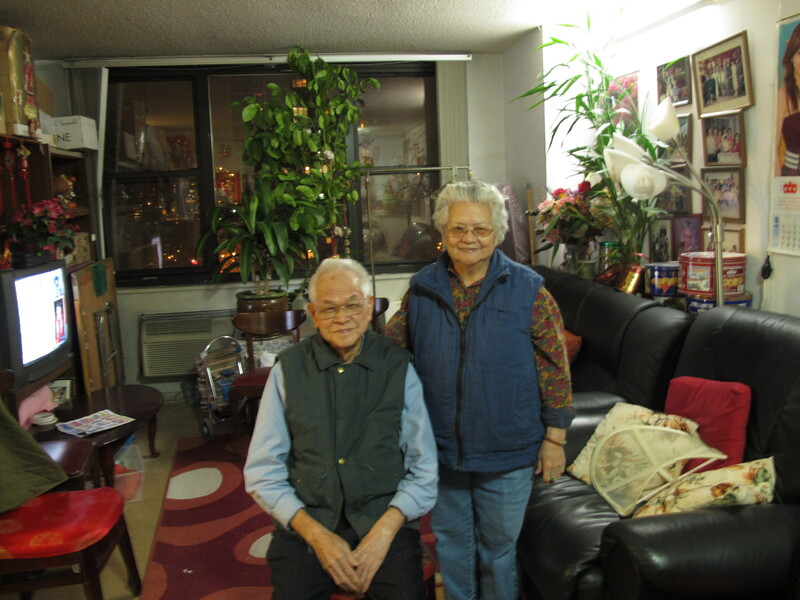 Nonetheless, the Wongs do not plan to relocate anytime soon to take advantage of programs like the ones at the Settlement House in Queensbridge. Luckily, Tim and Hung have a big family – six daughters and three sons – and four daughters live in New York. One daughter lives in Seward as well, in one of the development’s other buildings. Their daughters often bring their families to their parents’ apartment on Saturdays to play mahjong and have dinner together. “When we moved here 30 years ago, we got so comfortable that we didn’t want to live anywhere else,” Hung said. As for Seward’s senior center, Orta said the fight would continue, with or without the specialized programs. “We want a senior center here, [Seward’s] a big place. Why don’t we have one?” she asked.